and compassionate service with the world. Become a supporter of the School today! (William Thiele, author), Listen to a brief youtube description here. "A Contemplative Path" at www.wordpress.com. Click here to watch the Friday video. Click here to watch the Friday dialogue. Click here to watch the Saturday morning video. Click here to watch the Saturday dialogue. Click here to watch the Saturday afternoon video. Click here to watch the Saturday afternoon dialogue. Thanks to the donated video work of Don Downey. You can learn more about his work at www.dondowneyfilm.com. 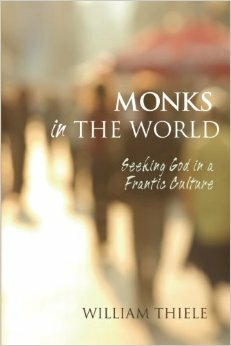 Cultivating a contemplative presence for God involves daily practice of spiritual disciplines in solitude. "practicing the Presence of God for personal transformation." our chosen vocations and through shared missions. The School for Contemplative Living is an ecumenical ministry supported by Rayne Memorial United Methodist Churches of New Orleans. Founding Spiritual Director: Rev. William Thiele, Ph.D.